We are all too well aware of all the latest sneaky threats that affect the safety of our mobile phones, like viruses, spyware etc. In this day and age, all of us need to stay fully protected. After all, our privacy and personal information is at stake now more than ever. Thankfully in order to combat today’s malware threat, the people over at Calytech Ltd created a brand new app called Avivast that every person that likes to stay safe will love and cherish. The Avivast app is a one of a kind protection and maintenance app that works wonders for your android device. The app features tons of cool features that not only help with protecting your phone, but also help maintain it. 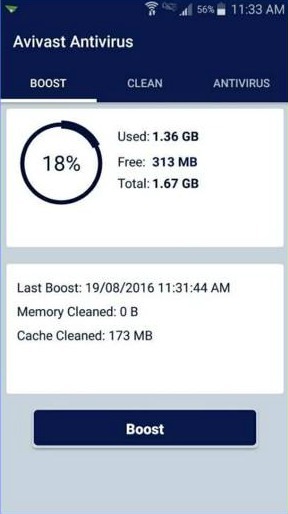 With the Avivast app, you can use features like memory booster, RAM cleaner and more in order to clean out and optimize the way your phone uses its memory. It comes with a great interface design and clear and intuitive overlays. We highly recommend this app for anyone out there that might be concerned about their phone’s safety. If you’re interested in learning more about the app in detail, you can visit their official Google Play download link.